Easter Week is the most passionate time of the year, in addition to being a cultural and social milestone in Marbella’s calendar. 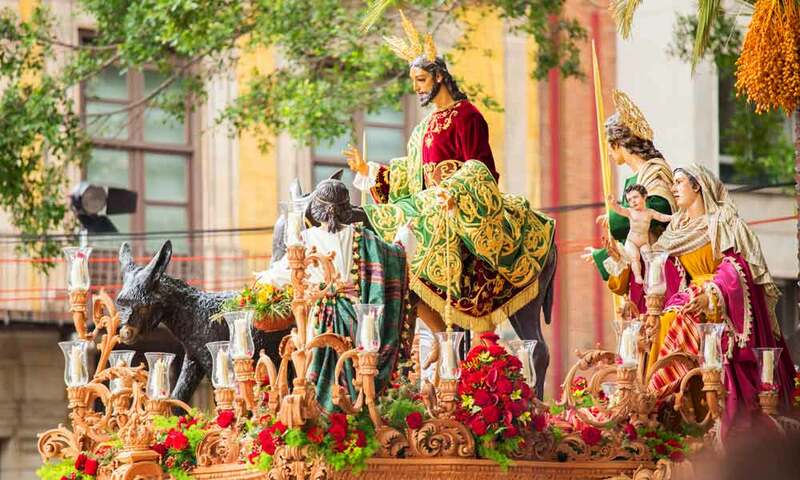 As in almost all Andalusian cities, the Easter holidays on the Costa del Sol are a tradition loaded with sacred feeling. This “holy period” could very well be a time of reflection and slowing down to make positive improvements in our lives. The Easter Week in Marbella kick off with Palm Sunday, when Christ’s entrance to Jerusalem is commemorated and ends on Easter Sunday. Here is everything you need to know about this week of penitence so you can experience the thrill, breathe in the aroma of orange blossom and incense wafting around the whole city and enjoy the profound singing of a good saeta flamenco religious song, followed by the sound of the bell indicating the subsequent “lifting of the float” and “we go bravely forward.” Easter Week in Marbella and the Costa del Sol is to be experienced. During Easter Week in Marbella, you will see impressive and beautiful thrones with artistic representations of Christ or the Virgin Mary. The different floats are decorated with gold or silver and also bear dozens of candles and hundreds of pretty flowers. Given their weight, the Marbella thrones are carried by 50 to 80 people, usually men, who will pass through the streets of the city. 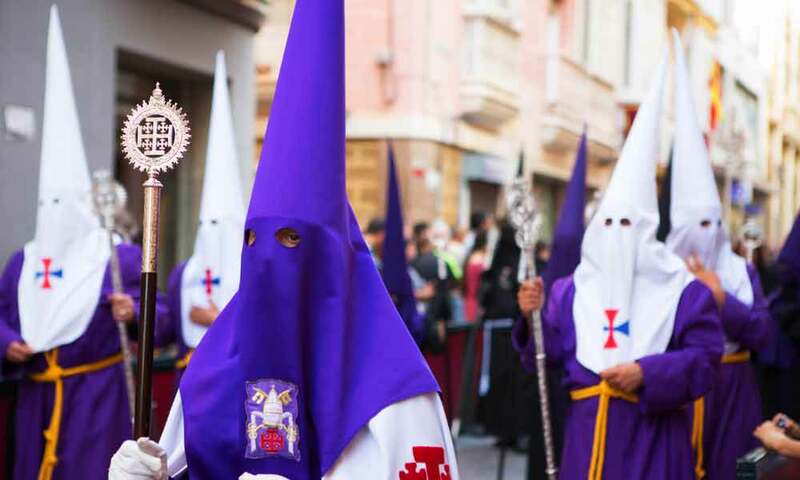 In addition to the processions, there is also a cortege comprising Nazarenes (or penitents) who are dressed in tunics, capes and capirotes (conical hats). And all this is accompanied by music played by different trumpet and drum bands hired by the different brotherhoods for the occasion. The traditional Hermandad de Nuestro Padre Jesús Cautivo, María Santísima de la Encarnación y Santa Marta, la Pollinica, begins its journey from the Parroquia de San Pedro on the morning of Palm Sunday and its state of penitence passes through the streets of the centre accompanied by around 300 penitents. The Hermandad del Santísimo Cristo Atado a la Columna y María Santísima Virgen Blanca have their procession on Monday from the Ermita del Santo Cristo and are accompanied by some 325 Nazarenes dressed in white capirotes and green tunics. The Hermandad de Nuestro Padre Jesús Cautivo y María Santísima de la Encarnación y Santa Marta begins its procession on Easter Tuesday from the Encarnación and is escorted by 350 penitents wearing tunics and black capirotes. One of the most beautiful parts that we recommend you see is the passage of this procession along calle Virgen de los Dolores. The Hermandad de Nuestro Padre Jesús Cautivo, María Santísima de la Encarnación y Santa Marta has its procession on Wednesday from its Casa Hermandad por Nueva Andalucía. Conversely, Nuestro Padre Jesús Nazareno y María Santísima del Mayor Dolor begins from the Encarnación and is accompanied by 225 Nazarenes, 110 bearers and over 40 Mantillas wearing black lace headscarves. The Hermandad de Nuestro Padre Jesús Cautivo, María Santísima de la Encarnación y Santa Marta pass through Nueva Andalucía, starting its journey from its Casa Hermandad. The state of penitence of Nuestra Señora de la Soledad starts from the Iglesia de la Encarnación and passes through the streets of Marbella. 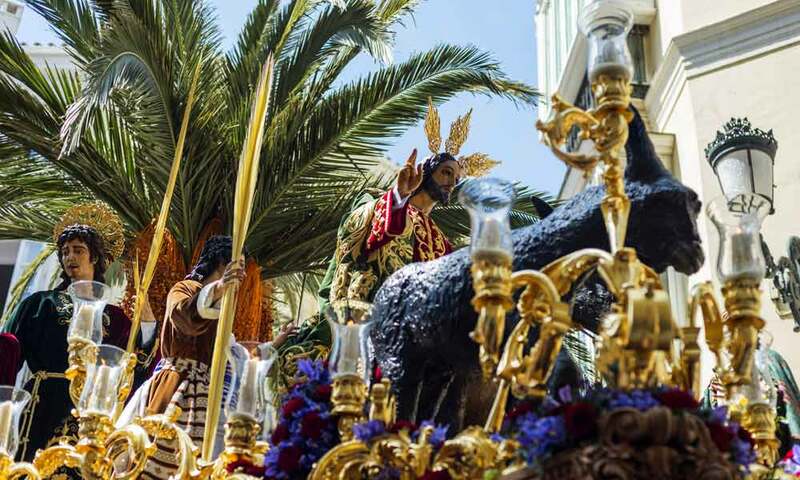 Easter Sunday in Marbella is experienced in a totally different way, since it is a state of penitence that is very luminous and joyful and passes through the streets of San Pedro and Marbella followed by brothers from all the brotherhoods. One of the most ancient and singular traditions of Andalusian Easter Week are the Mantillas, women dressed in mourning and wearing a peineta or comb who walk the procession. This show of respect is an ornament for the hair (comb) that is covered by a lace headscarf. La saeta is synonymous with Easter Week and is the most significant expression of this time. It is a totally religious song that is sung during the day of Passion. It is a song full of sentiment that is addressed directly to the carved piece. If you come to see Easter Week, be sure not to miss the chance to enjoy one of the most emotional and beautiful moments of the procession. Incense is a very characteristic display that indicates that it is Easter Week. Conversely, wax tells us that the procession has passed, since it is very normal to see children behind the penitents collecting the wax that drips from the religious candles and making big balls out of it. Many are the traditions that accompany the Week of Passion, but the sweetest one are the pastries. 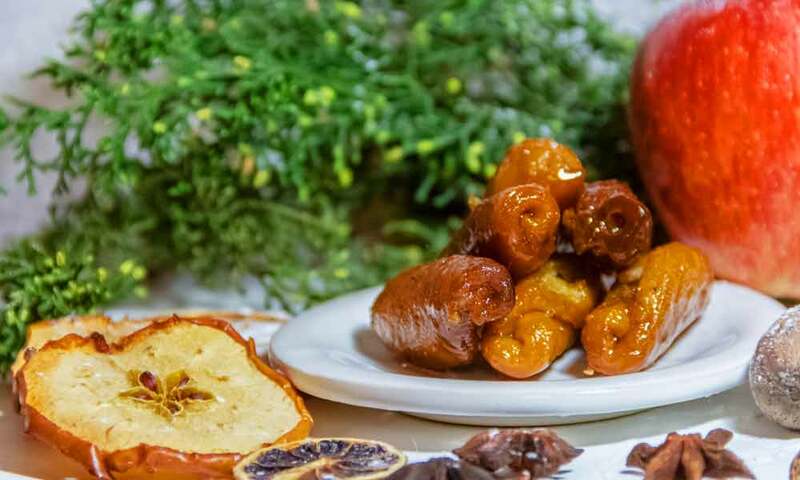 It is at that time when traditional sweets are made, such as torrijas or French toast which are toasted and bathed in milk and honey, crumbed and then fried. Also very traditional are the delicious pestiños (beignets) and buñuelos (fritters). Exquisite! 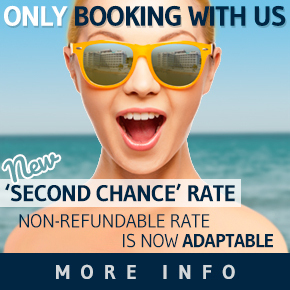 If you have already decided that you are going to enjoy Easter Week on the Costa del Sol, we have selected some places that are worth visiting. 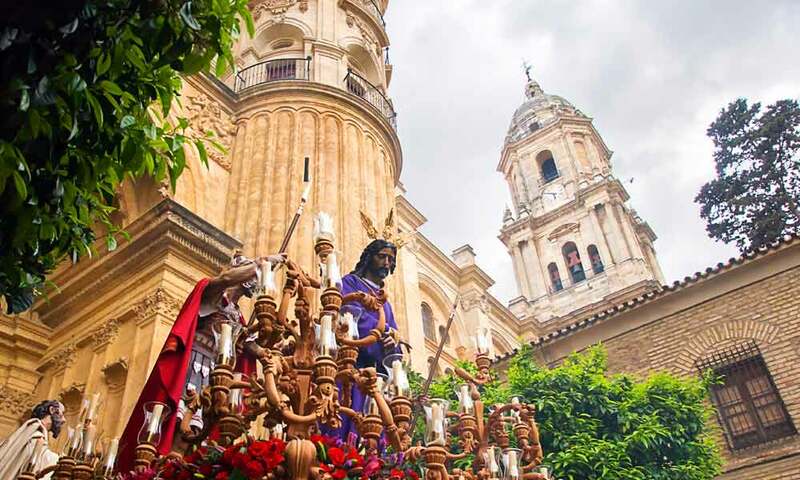 Malaga could not be left out of this section, since in addition to its impressive historic and cultural legacy, this city experiences one of the most emotional and spectacular Easter Weeks in the world. 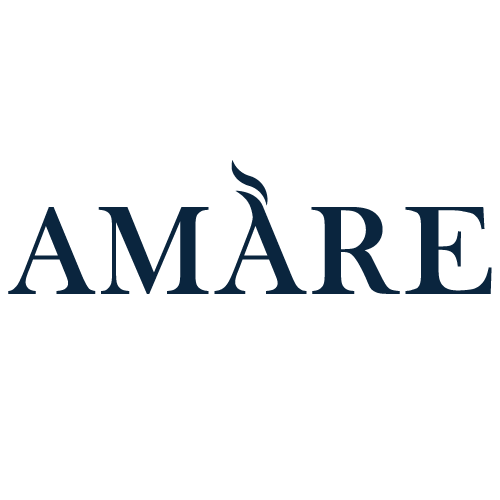 Whether you are Christian or Atheist, the faith of its Nazarenes and its entire atmosphere will surely make your hair stand on end. And if we have still not convinced you, remember that during Easter Week in Malaga, you can see famous like Antonio Banderas. Easter week is ideal for loading off adrenaline, so we suggest you practice an adventure sport in Marbella. Put your physical ability to the test and go canyoning, rafting, bungee-jumping… Another alternative plan could be hiking or tourism cycling. Marbella and the Costa del Sol offer a multitude of spectacular routes to enjoy active nature. Another way to make your Easter holiday different is to enjoy wine tourism or wine-related tourism. Take a route through the most interesting wine cellars on the Costa del Sol and enjoy savouring the best wines of the province of Malaga. Our favourite alternative plan for Easter Week is to relax while receiving a delicate massage or enjoying the benefits of hydrotherapy. 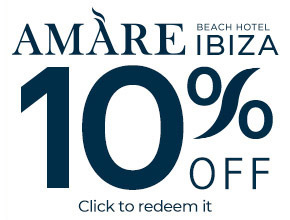 Let yourself be spoiled by the best professionals in beauty and gift yourself a personal treatment at Amare SPA by Germaine de Capuccini. Your mind, and above all, your body will thank you for it.